A teen librarian by day and a romance writer by night, A.J. Pine cant seem to escape the world of fiction, and she wouldnt have it any other way. 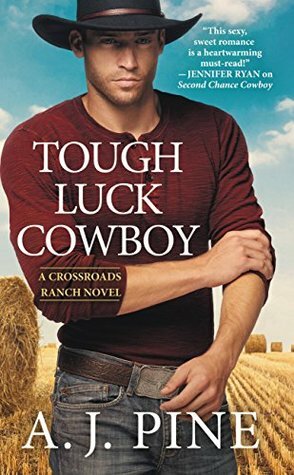 Shes the author of the If Only series (Entangled Embrace), the Only You series (Berkley/Intermix), the Kingston Ale House series (Entangled Select), and the Crossroads Ranch series (Forever Romance). When she finds that 25th hour in the day, she might indulge in a tiny bit of TV where she nourishes her undying love of vampires, superheroes, and a certain high-functioning sociopath detective. She hails from the far off galaxy of the Chicago suburbs.